Positive Detroit: Tashmoo Biergarten Debuted Yesterday in Detroit & In The Associated Press Today! 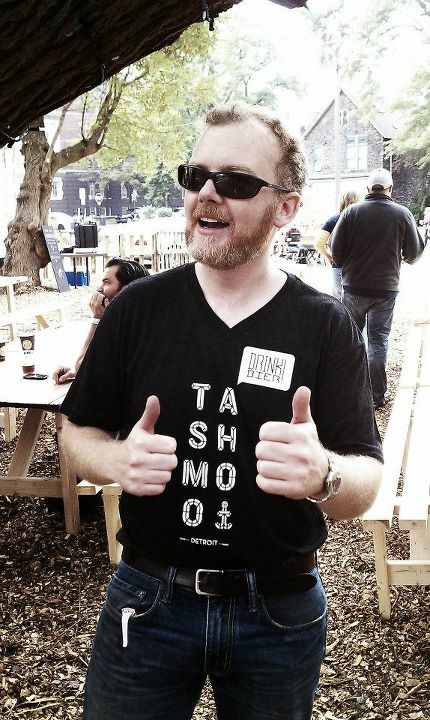 Tashmoo Biergarten Debuted Yesterday in Detroit & In The Associated Press Today! A group of local artists, designers, writers and others has transformed a piece of vacant land in Detroit into a European-style beer garden. The Tashmoo Biergarten will pop up once a week and feature a rotating selection of beer by Michigan brewers, local food vendors and board games to keep patrons entertained throughout its run, which will be five Sundays, from Sept. 25 through Oct. 23. Organizers say "tashmoo" is a Native American word understood to mean "meeting place." Event co-founder Suzanne Vier says Tashmoo Biergarten is patterned after European beer gardens, which she says are great places "for people within a community to come together while drinking a beer, having a bite to eat, or playing a game of chess outdoors with their neighbors."